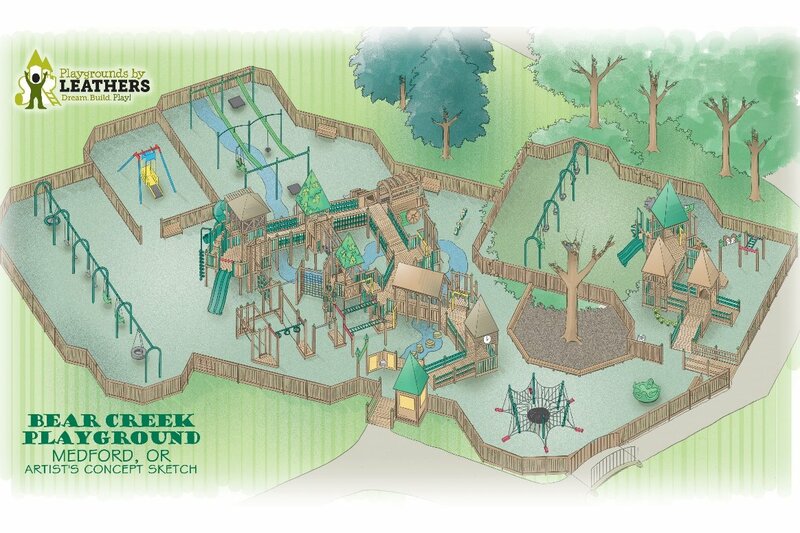 The Medford Parks and Recreation Foundation is looking for assistance in funding the soon to be reconstructed playground structure at Bear Creek Park in Medford, Oregon. This new playground structure will be renamed the "Olsrud Family Community Playground." All proceeds collected from this campaign will be directly utilized in the reconstruction of this playground. For more than three decades the custom-built, castle-like playground structure at Bear Creek Park has stood as southern Oregon's most unique and best-loved playground, a hub of adventure play for children a from all over the Rogue Valley. It was constructed as a result of a broad community partnership and collaboration that promoted unity, inclusion, collaboration and volunteerism. The existing wooden structure has reached the end of its useful lifecycle and time has come to replace the playground to meet the needs of future generations. We hope you will consider providing a gift in any amount toward the vision of rebuilding this Rogue Valley icon. For more information, please visit medfordparksfoundation.org.